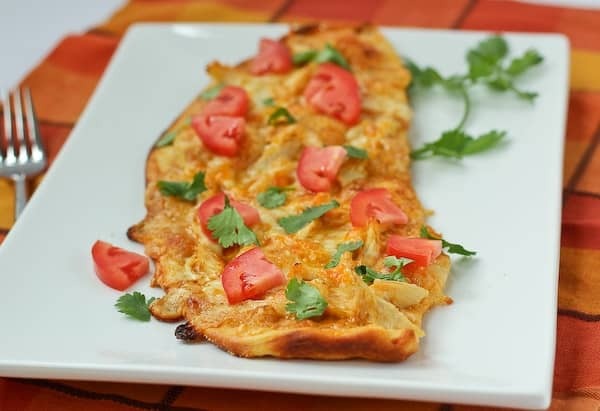 This Chicken Enchilada Flatbread starts with a smooth and creamy enchilada sauce, shredded chicken, and cheese and ends with whatever toppings you love! 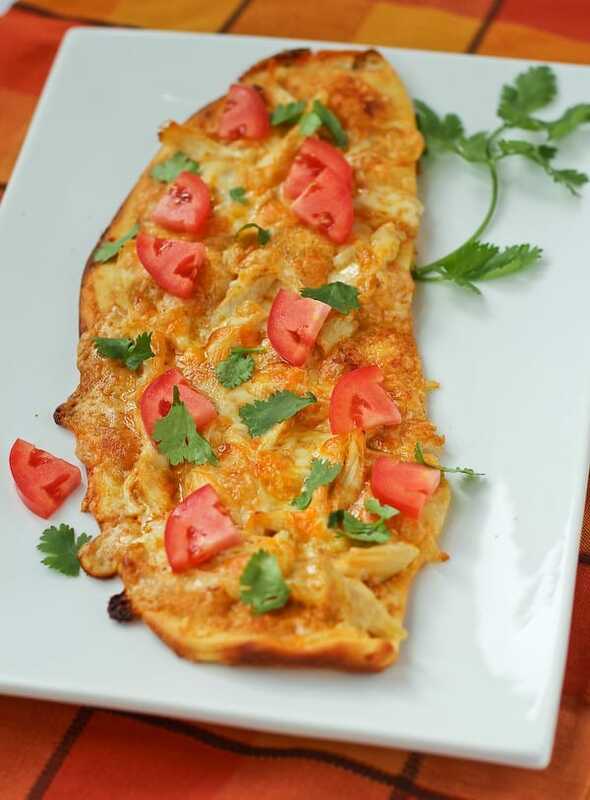 Continuing on with our Fabulous Flatbread Challenge*, I bring you Chicken Enchilada Flatbread. I loved the way this flatbread turned out. Crust: I used the same easy pizza dough recipe that I used for my cheesy flatbread on Monday. Except I swapped out the cheddar and replaced it for monterey jack cheese. You could use any pizza or flatbread dough recipe for this flatbread but the added cheese is clearly a bonus. I chose to cut it into 3 parts so I had three individual flatbreads. They were large, so feel free to make them smaller. 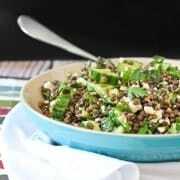 This recipe could easily serve 3-5 depending on how hungry you are and what else you’re serving. If you’re in a hurry or really want to come strong with the enchilada theme, a tortilla would be awesome as a crust here. If you go that route, you might need to reduce your baking time a bit as you won’t need to cook the dough — but you’ll want it nice and crispy. Sauce: For this flatbread, I used my creamy enchilada sauce (not to beat a dead horse, but if you’re planning to use plain enchilada sauce you’re missing out — because this one has cheeeeeese). Not only does cheese taste delicious, but it is a terrific source of protein. If you need more convincing that you should put cheese in your enchilada sauce (umm…really, I hope this is a no brainer! ), United Dairy Industry of Michigan has written an “Ode to Cheese.” How can you not love the people behind United Dairy Industry of Michigan after knowing that they wrote an ode to cheese? 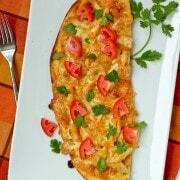 Hot Toppings: I kept it simple and used shredded chicken and more monterey jack cheese. That way all the flavors could really shine through and the people I was serving (my family) could customize their flatbread with the variety of garnishes I offered. Garnishes/Additional Cold Toppings: This is the fun part! The options are nearly endless. I kept things fairly simple with fresh cilantro and tomatoes but there are so many other things that would be great on this flatbread: green onions, jalapeño, sour cream, or chopped avocado. That’s why having three individual flatbreads was so perfect — each person could create their perfect chicken enchilada flatbread. The other great thing about making this into three smaller flatbreads rather than one large one is that they will stay nice and crispy. Sometimes with one large flatbread or pizza, the center tends to remain a bit soft, or even soggy. 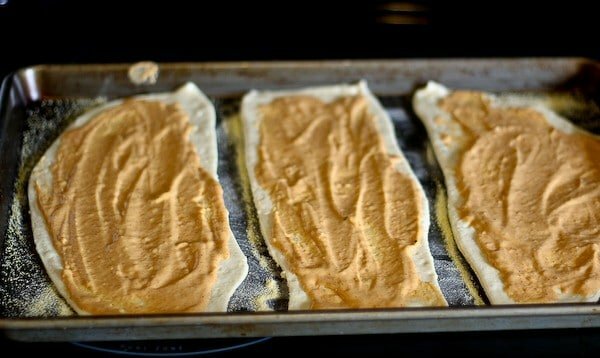 Cutting the dough into smaller pieces and making small flatbreads will decrease the chances of you ending up with soggy dough. Spray baking sheet with nonstick cooking spray and sprinkle with cornmeal. Roll out pizza dough to approximately 12×17. 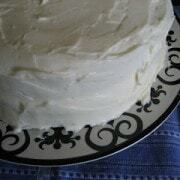 Cut into three equal size pieces and place on prepared baking sheet. Spread with creamy enchilada sauce (you might not need it all). Top with shredded chicken, and then with cheese. Bake for 10-12 minutes or until golden brown. Serve topped with desired garnishes. Verdict: LOVED this — will definitely make it again. Husband’s take: He was a huge fan of this as well! 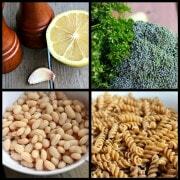 Changes I would make: None are necessary but I’m excited to play around with fun garnishes! REMINDER! Please remember to head to this post to link up your #FabulousFlatbread recipe for the chance to win great prizes – including a KitchenAid stand mixer! *Disclosure: I am thrilled to be in an ongoing partnership with United Dairy Industry of Michigan. I have been compensated by UDIM for my time to develop this recipe and organize the Fabulous Flatbread Challenge. All opinions are as always, my own. Find out more about why Milk Means More on Twitter, Facebook, YouTube and Pinterest. Make sure to take a minute to also meet the hardworking families behind Michigan’s milk. This is such a great idea, I know my family would go crazy for it! And a cheesy enchilada sauce – I need to look into that! Suchhh a good flatbread idea!! It looks so full of flavor! 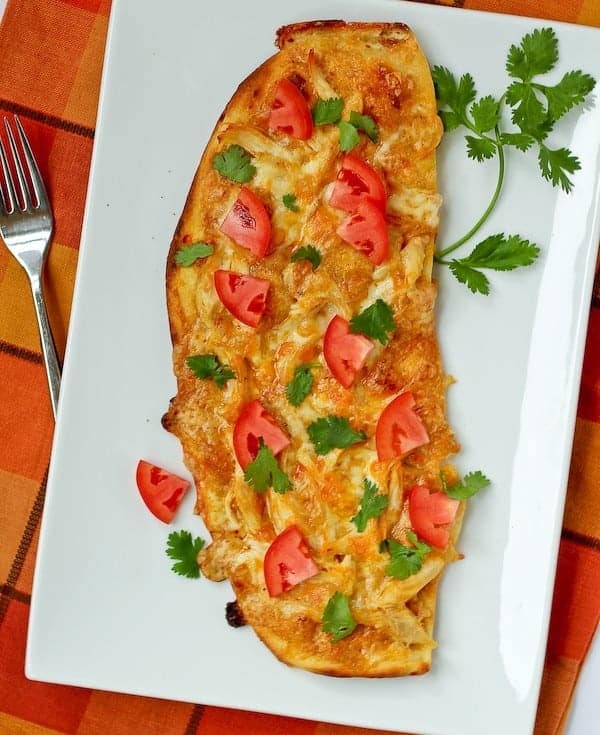 Love your version of enchilada flatbread, looks delish!